In the township of Poland in Ohio a series of earthquakes were detected in March of 2014. These earthquakes coincided with fracking operations in that month. The conclusion of the study is that fracking operations caused these earthquakes. Five of these earthquakes were between 2.1 and 3.0. A 3.0 earthquake is a level which, according to the federal seismology services, is an experience similar to a large truck passing nearby. 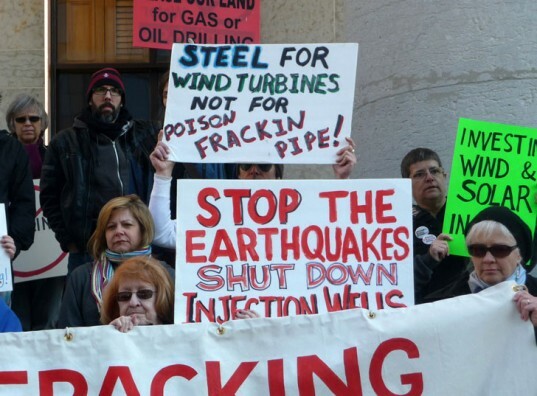 It has been known for some time now that fracking causes large numbers of micro earthquakes. Fracking literally creates long micro fractures in rock formations. Injecting fracking fluid into these new fractures causes micro quakes. It is quite uncommon for fracking to cause larger earthquakes which can be felt by people on the surface. However the geography deep underground is not well understood in some regions. Sometimes fracking takes place in or near unknown fractures, creating risk for larger earthquakes as were detected in Poland Ohio. New mapping techniques are being developed to detect and map these deep faults. In the meantime the study calls for closer cooperation between industry, government regulators, and the scientific community to map these faults and prevent more serious earthquakes from occurring.